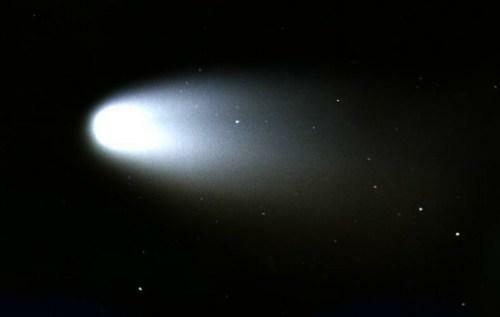 This shot of Comet Hale-Bopp was taken by Gene Faulkner. Kevin Conod took this photo of the Double Cluster in Perseus. IC 1805 and 1848 are visible to the left of the Double Cluster. 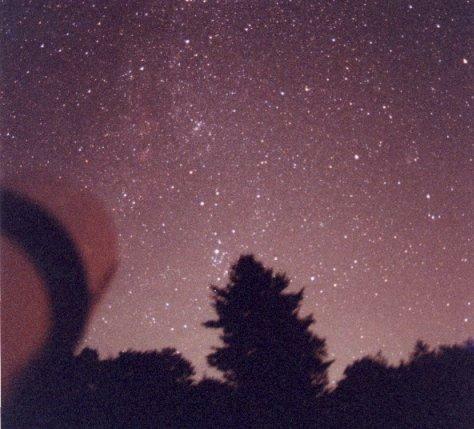 It was taken piggyback on a 4" refractor (shown in foreground) in Springfield, VT. Exposure: Approximately 2 minutes. Film: Kodak Royal 1000. Lens: 28mm. This shot of Cygnus, the summer Milky Way, and the North American Nebula was taken at Little River State Park, VT, by Kevin Conod. Exposure: Approximately 2 minutes. Film Kodak Royal 1000. Lens: 28 mmm. 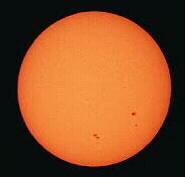 This photo of the Sun on April 29, 2000 shows several sunspots. Taken through a Thousand Oaks solar filter at 1/125 sec through a 4" Meade APO refractor at f/9. ISO 100 Fuji film was used. By Kevin Conod. 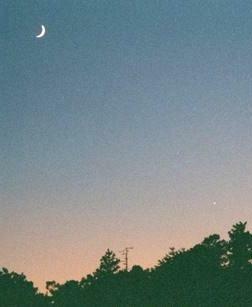 Kevin Conod took this snapshot of the Moon and Venus at the South Jersey Star Party in Bellplain State Forest. 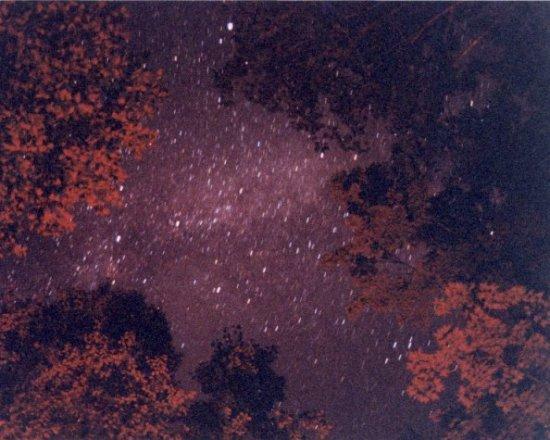 A 100 mm lens and 1000 ASA Kodak film was used. 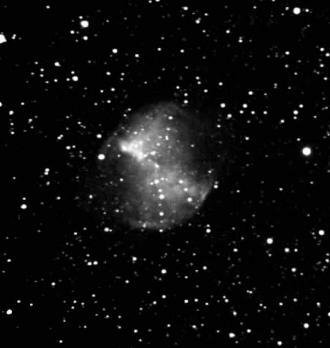 The Dumbell Nebula (M27) lies about 1200 light years away in the midst of the Summer Triangle in the constellation Vulpecula. This image by Joe Marzullo was taken with an ST7E CCD camera using a 10-inch Meade LX200 telesope at F3.3.